In a touching conversation over the radio last Friday, Lady Gaga invited Asian Canadian 10-year-old Maria Aragon to perform with her in Toronto on March 3rd. The child had put up a YouTube video of herself singing Gaga's "Born This Way" and gained over 10 million views within five days. Appearances on The Ellen DeGeneres Show and Good Morning America followed. There has been an explosion of talented pop singers and break dancers among Asian American youth, especially on the YouTube scene in the past few years. 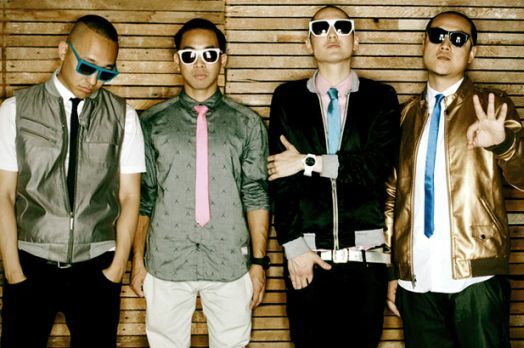 In recent months, Far East Movement became the first Asian Americans to hit #1 on Billboard with their single "Like a G6." While mainstream media dwells on Tiger Moms and their Whiz Kids, a new reality and identity is emerging for Asian Americans. Is America ready for the cool Asians? They have (loosely speaking) supportive, nurturing parents, and freedom to explore their interests, whether it may be in guitar, hip hop dance, singing, or acting. They excel at being creative, happy, and well-adjusted. What is endearing about him and the other Heartthrob Asians is that they are exceptional, yet very laid back. AJ's first videos in 2006 were piano medleys and a duet with his friend Andrew Garcia (later of American Idol) singing "I'm Yours." In 2007, AJ discovered he had over 1000 subscribers and uploaded more videos. Then a mother of a teenage YouTube viewer -- Maria Milla, saw AJ's videos and organized two live concerts in Texas called "AJ Rafael and Friends"; 800 came in Houston and 400 in Dallas. AJ's recognition on YouTube has supported his tours and benefit shows for causes such as autism and the typhoon in the Philippines. Huge crowd performances have sprung up across America and the world for AJ Rafael and group shows of Asian American musicians like him. Over a thousand fans showed up to FAP (Featured Acoustic Playlist), a live show started by YouTube admirers who got their favorite musicians together to perform in San Diego. "International Secret Agents" concerts in Los Angeles and New York in 2010 and 2011 sponsored by JC Penny and Verizon showcased many YouTube star Heartthrobs and were filled to capacity. The most successful Asian American artists to break into mainstream pop is The Far East Movement who reached #1 in iTunes and Billboard Hot 100 charts for their single "Like a G6." They had built their fan base performing in local shows and clubs to both ethnic dominated venues and mixed audiences in Los Angeles. The Latino community was the first to embrace them, pushing their song "Girls on the dance floor" through the Latin Rhythm Airplay Charts, marking their debut on the Billboard charts. Social media was also a big help. Kev Nish of the Far East Movement explained that a direct relationship with their fans on MySpace helped them "create a free wired family." On Myspace, "we hit them up, create a relationship, and through that, people show up to your shows." Although every Asian American musician interviewed emphasized they don't cater their music to any specific demographic, and want to be recognized as an artist first, before being recognized as an "Asian American artist," or ever a "YouTube artist," there is clearly something going on of late with mainstream enthusiasm for Asian American artists and a new Asian American fan base. Casual viewers on YouTube will see that many of these great performers are friends who hang out and perform together. One naturally asks, how do they all know each other? Mostly dispersed throughout SoCal, they discover each other on YouTube and Myspace. Then they befriend, perform, and collaborate with each other, combining fan bases, and continue fueling their popularity. Welcome to the new Asian American pop renaissance; a "free wired" community of young Asian American artists producing, inspiring, collaborating, riffing off, and consuming each other's performances, resulting in millions of views, some record-breaking iTunes sales, and real careers and concert tours around the world. When mainstream venues are limited, they band together and create their own. 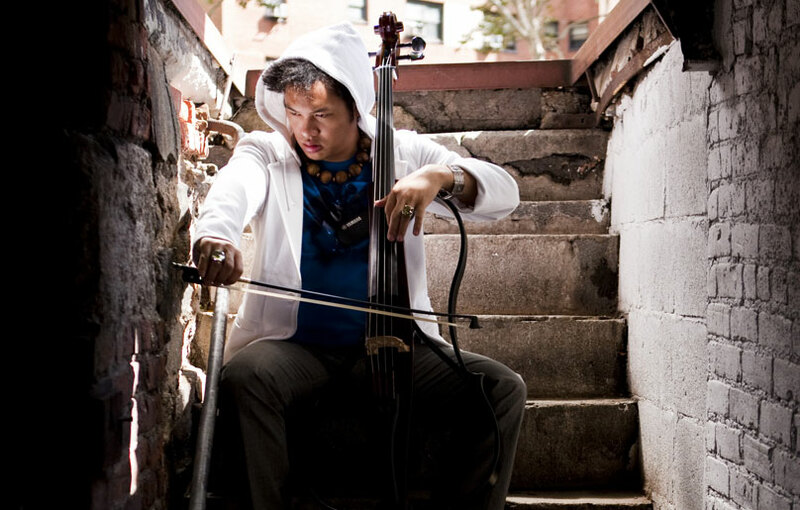 Chinese-Japanese American electro-jazz cellist Dana Leong, who's played with the likes of Wynton Marsalis, Yoko Ono, and Kanye West, and represented the U.S. in The Rhythm Road Tour sponsored by Jazz at Lincoln Center and the U.S. Department of State Bureau of Educational and Cultural Affairs, headlined the Asian American Music Festival in Los Angeles with his band MILK & JADE. But he admitted he's not used to performing in Asian American Festivals, and has performed more extensively in jazz and rock festivals, where crowds have been diverse. "Even though wide ranges of audiences are expected and welcomed at the Asian American Festivals, I see more Asians of the younger generations proudly welcoming the idea of their brothers and sisters as American icons, performers, actors, artists, and public figures, which I find grounding." "While creating opportunities for Asian Americans is essential, I can't exactly pinpoint a convincing recipe for an 'Asian American Sound' the way we do for the Latino music, for example. I think the key is to increase awareness amongst the Asian American communities that there's more to music than Asian boy bands and classical music, that a new generation of us are helping to build upon the traditions of American music (Jazz, Hip Hop, Rock & Roll) and Western European traditions (classical, fields of electronic and dance variants), and creating unique sounds."